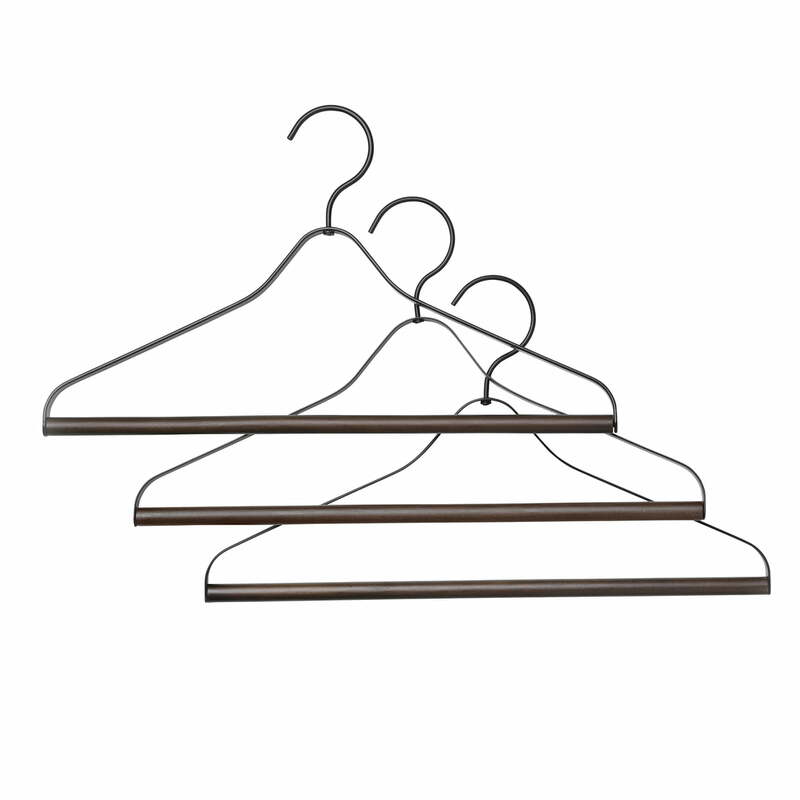 The high-quality clothes hangers from ferm Living come in a practical set of 3 and consist of a combination of powder-coated steel and black stained wood. The materials give the hangers a robust, durable, discreet and at the same time modern look, which allows the hangers to be used flexibly. The crossbar and the rotating hook for hanging the clothes hangers are also particularly practical. The high-quality set of coat hangers comes in a decorative gift box. 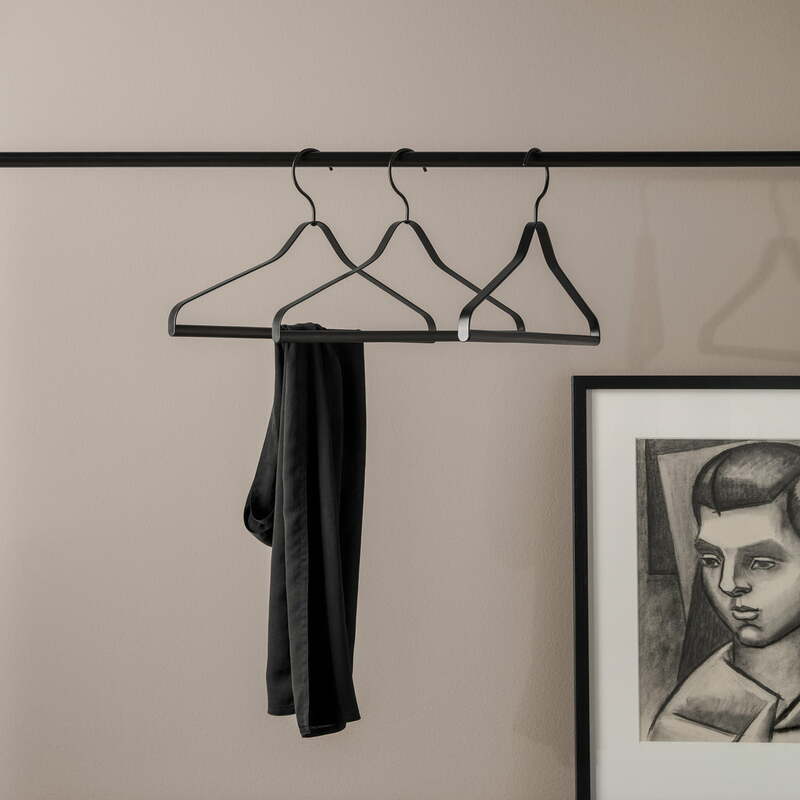 The hangers can be beautifully combined with the Pujo wall wardrobe from ferm Living. 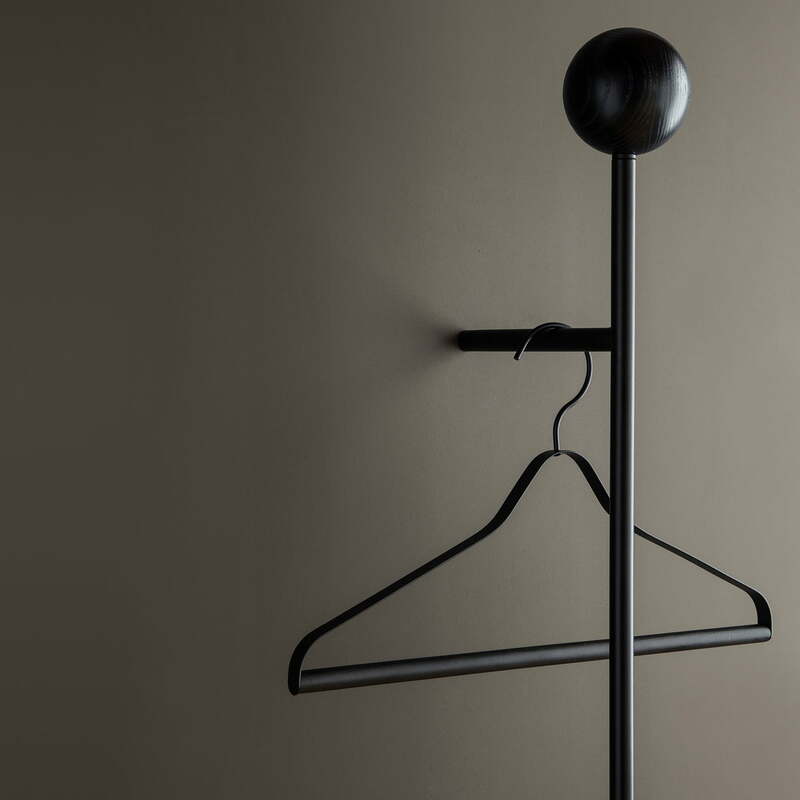 The high-quality clothes hangers from ferm Living come in a practical set of 3 and consist of a combination of powder-coated steel and black stained wood. The materials give the hangers a robust and modern look. Lifestyle product image of the Pujo coat rack by ferm living: There is also space to hang up clothes by means of coat hangers on the upper bar of the construction.